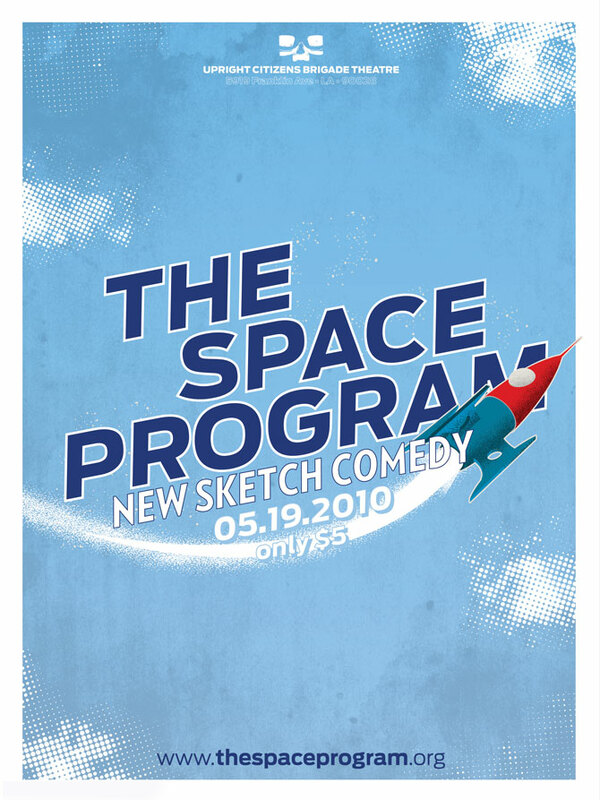 Poster for the UCB sketch team The Space Program. We took our retro-futurist inspiration from visions of the future that permeated the ‘space race’ culture of the 1950s and 60s. 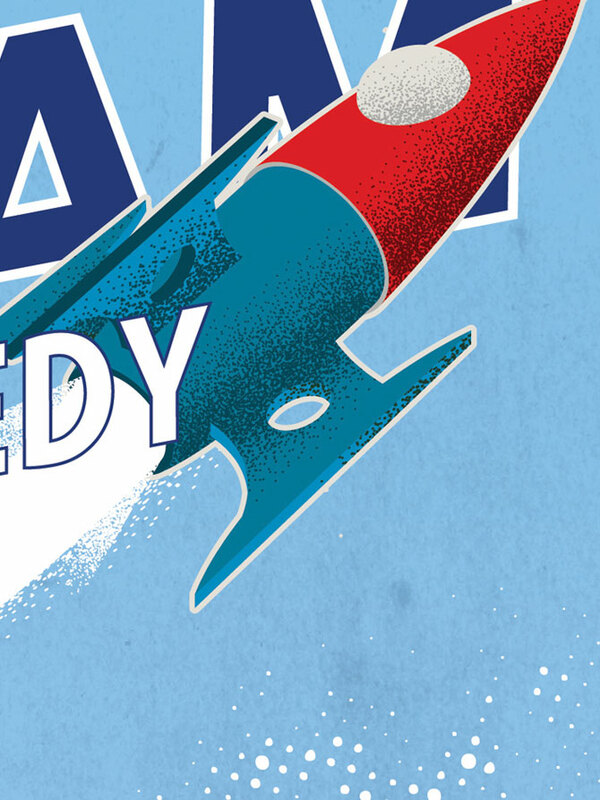 Our goal was to make a poster that would not only grab an audience’s attention, but would feel right at home at a World’s Fair, or Disney’s Tomorrowland.